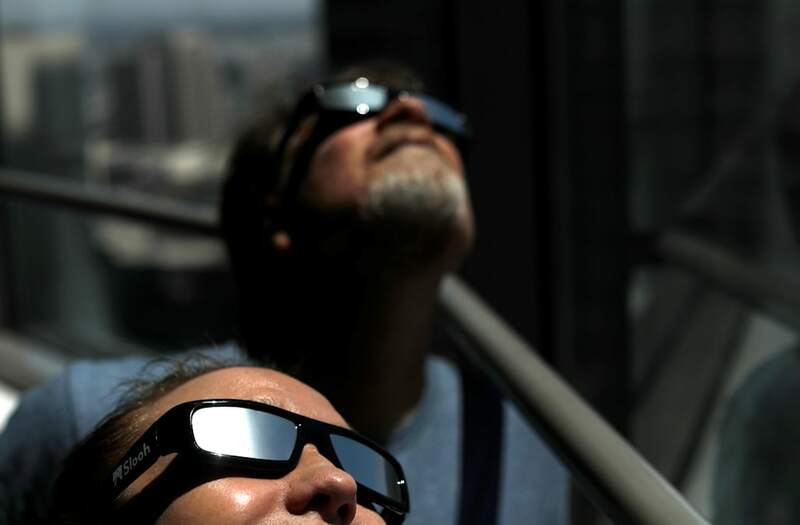 NEW YORK, Aug 17 (Reuters) - Add next week's total eclipse of the sun to the list of worker distractions that cost U.S. companies hundreds of millions of dollars in lost productivity. American employers will see at least $694 million in missing output for the roughly 20 minutes that outplacement firm Challenger, Gray & Christmas estimates workers will take out of their workday on Monday, Aug. 21 to stretch their legs, head outside the office and gaze at the nearly two-and-a-half minute eclipse. And 20 minutes is a conservative estimate, said Andy Challenger, vice president at the Chicago-based firm. Many people may take even longer to set up their telescopes or special viewing glasses, or simply take off for the day. "There's very few people who are not going to walk outside when there's a celestial wonder happening above their heads to go out and view it," Challenger said, estimating that 87 million employees will be at work during the eclipse. To get the overall figure of nearly $700 million, Challenger multiplied that by the Bureau of Labor Statistics' latest estimate for average hourly wages for all workers 16 and over. Just as the Earth is a mere speck in the universe, however, Challenger said this is still a small sum. "Compared to the amount of wages being paid to an employee over a course of a year, it is very small," Challenger said. "It's not going to show up in any type of macroeconomic data." It also pales when compared with the myriad other distractions in the modern workplace, such as the U.S. college basketball championship known as March Madness, the recent U.S. shopping phenomenon called Cyber Monday and the Monday after the Super Bowl. During the opening week of March Madness, the firm estimated employers experienced $615 million per hour in lost productivity as people watched games and highlights, set up pool brackets and avidly tracked their standings rather than performed actual work. The Monday after the Super Bowl, meanwhile, resulted in an estimated $290 million in lost output for every 10 minutes of the workday spent by workers discussing the game or watching game highlights and re-runs of their favorite Super Bowl commercials. And Cyber Monday on the heels of the U.S. Thanksgiving holiday at the start of the annual holiday shopping season resulted in $450 million in lost productivity for every 14 minutes spent shopping, not working. Events like this are likely to have an outsized effect on smaller companies, Challenger said. When their workers are absent, small firms may not have sufficient coverage from coworkers, especially in the current tight labor market where it is hard to find skilled workers. "When three or four people are missing from an office of 15, it's a lot more disruptive," Challenger said.